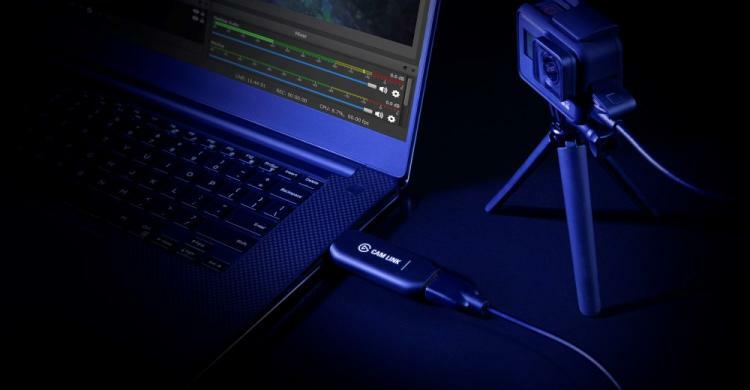 FREMONT, CA, November 27th, 2018 – Elgato, the leading provider of hardware and software for content creators, today announced the release of Cam Link 4K, a powerful device that turns existing DSLR, video or action cameras into a high-performance webcam. As the production value of user generated content for the web continues to improve dramatically, traditional webcams are struggling to provide the quality and flexibility to keep up. With Cam Link 4K, creators can use their existing high-end camera equipment to send live video directly to their computer in up to 4K resolution, unlocking remarkable possibilities for streaming, recording or video conferencing. By connecting a compatible camera’s HDMI port to a computer’s USB 3.0 port, Cam Link 4K captures video with ultra-low latency and in spectacular quality at up to 4K 30fps (frames per second) or 1080p 60fps. Supporting a wide range of applications, including OBS Studio, Discord, and Skype, Cam Link 4K makes it possible to expand beyond standard webcam video by leveraging the powerful capabilities of existing camera equipment from Sony, Nikon, Canon, GoPro and more. Creators can experiment with advanced imagery options such as alternative camera lenses, wide angle and close up shots, depth of field and more, enhancing production quality across all their content. Cam Link 4K improves upon the acclaimed power and ease of use of the original Cam Link by increasing its max resolution to 4K at 30fps, as well as adding support for interlaced video, which allows Cam Link 4K to work with more cameras than ever before. Whether streaming or recording games, tech reviews, unboxings or just about anything, Cam Link 4K simplifies and enhances production, making it easy for creators to share stunning, professional content with the world. Elgato Cam Link 4K is available immediately from the Elgato worldwide network of authorized retailers and distributors. It is currently available on pre-order at Amazon.co.uk priced at £119.95 inc. V.A.T. 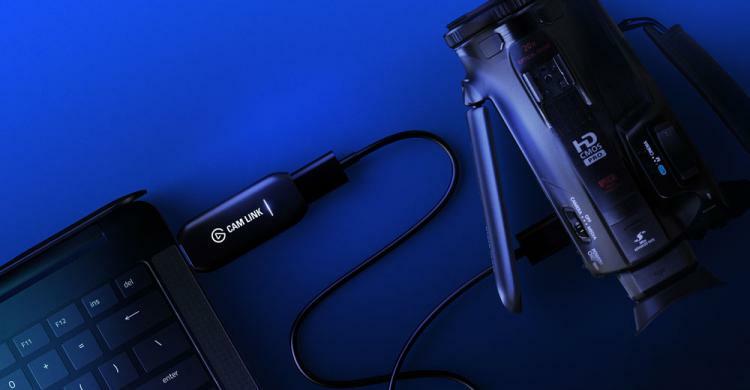 Elgato Cam Link 4K is backed by a two-year warranty and the CORSAIR & Elgato worldwide customer service and technical support network.